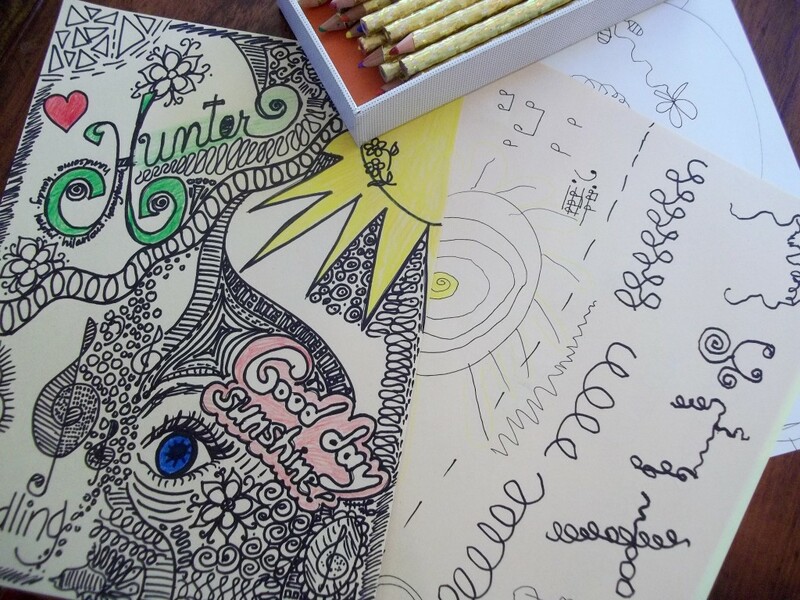 It turns out that Hunter and I both LOVE to doodle. When we researched doodling (yes, it is researchable), we even liked the same type of doodling, as there are many variations. Except I was still working on my first “mindless” piece of art while he completed 6. He likes lots of white space. I like to fill every single space with squiggles. “On that part, we are different,” Hunter told me.